The World Cup is almost upon us and 2018 could be our year - right? Well… we can live in hope and at least we know where all the best places to watch through our fingers are. Wherever you are in the UK, you deserve to thoroughly enjoy the nail-biting tension with a tall glass of something cool in your hand. Here are our favourite city locations this year. Check into your room at Jurys Inn Leeds then head right out to catch the match. Start at The Brotherhood of Pursuits and Pastimes where the big screens are above the bar for optimal viewing and gentlefolk may book a seat prior to arrival. Alternatively, leave the city behind in favour of The Box in Headingley, where there are plenty of screens and a foosball table to recreate the best shots post-game. Manchester is home to some of the game’s biggest stars and is suitably football crazy. Bierkeller is certainly a good place to start, with more HD screens than a bar could possibly need, but The Green is has the makings of a true competitor with 11x11ft screens spread over two floors. 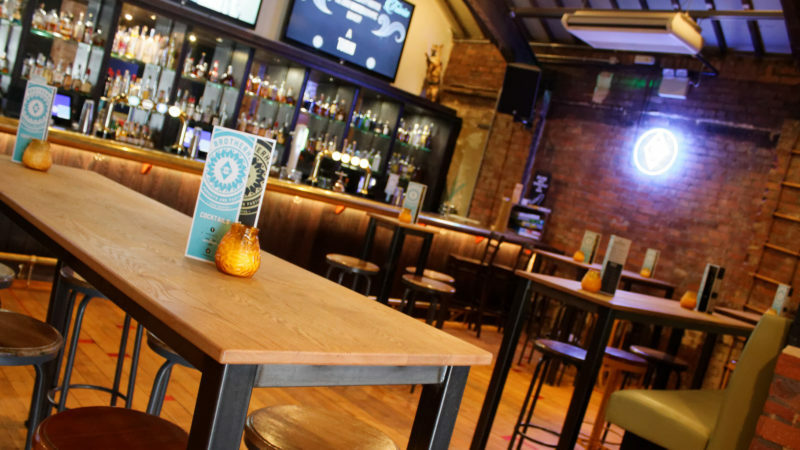 Without sport, there would be no Tib Street Tavern, which prides itself on showing as much sport of all kinds as possible and with its vintage vibe, this Northern Quarter gem is perfect for everyone. Check into your room at Jurys Inn Manchester and then dive straight into the football spirit. Newcastle is the place to be for the World Cup this year, with lots of pubs and bars getting involved. 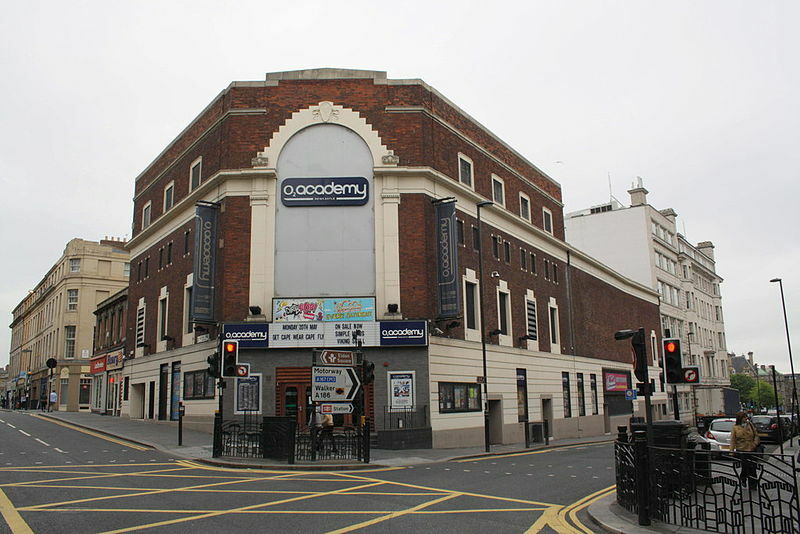 A mere 8-minute walk from Jurys Inn Newcastle, The O2 Academy is taking no chances and will be broadcasting all the games on all their big screens - you can’t miss them! Similarly, the Town Wall are making full use of their secret cinema room which, combined with their craft ales and excellent food, sounds like an offer we can’t refuse. There is so much going on in London that it almost doesn’t matter where you end up - you will find a screen showing the footie within a few minutes. But, as this is a list of the best places to go, then Tropicana Beach Club has to get a mention as one of the most fun and extravagant parties going. 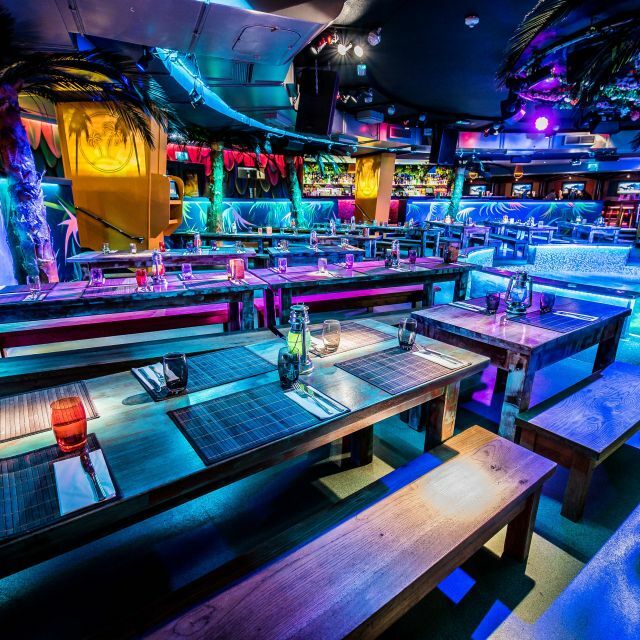 This lively bar is in Covent Garden and will be offering large screens and drinks deals to go with. Of course, if it is big screens you are after, a trip next door to Soho will bring you to Dirty Harry’s where 2 massive drop-down projectors and 4 TVs will ensure no-one misses a second of the action. Not far down the road (or rather, the rails) from Jurys Inn Croydon, Lost & Co Battersea is the place to be for soaking up the sunshine while watching the match in their large beer garden. Working to a similar theme, The Bishop Kingston is boasting indoor and outdoor screens with a fantastic view of the Thames plus a free pint of Camden Hells. You can’t say fairer than that! Plymouth may not be a big city, but it has plenty of spots to catch the games as they unfold. 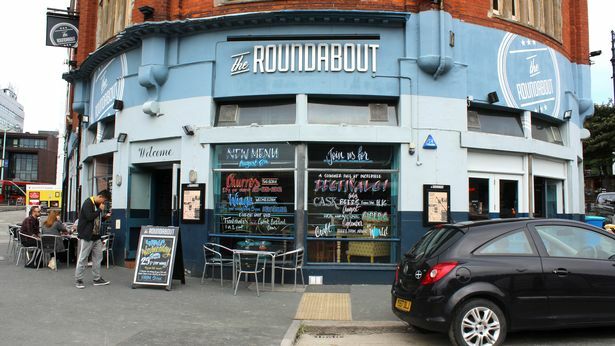 Try The Roundabout for starters. 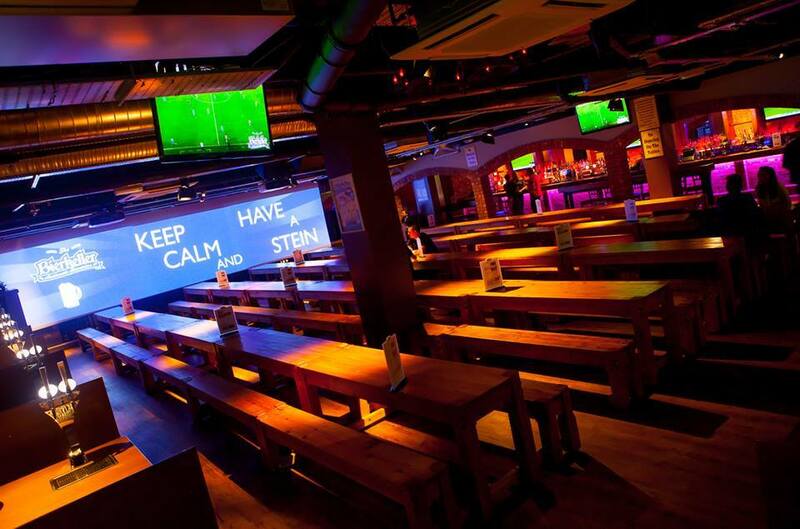 It’s popular with students and has 10 TVs plus 2 huge screens for optimal viewing, plus some good food served until late. The Brass Monkey is another good shout with lots of TVs to go around in this huge venue. Drop your stuff off at Jurys Inn Plymouth and then get settled in to either of these venues for the 4 match Super Saturday. 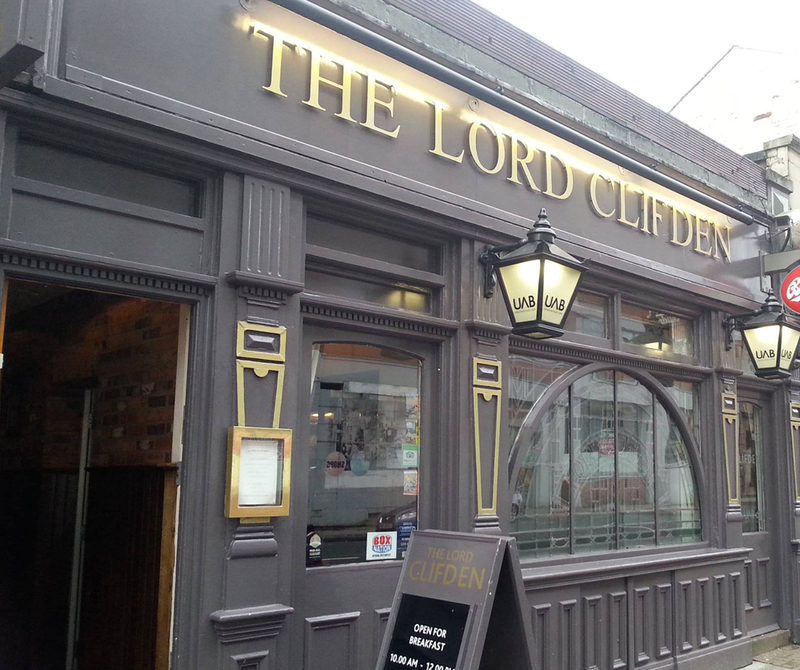 There are some brilliant pubs in Birmingham and some, like the Lord Clifton and The Victoria, are already getting into the world cup spirit. Grab your room at Jurys Inn Birmingham and then head straight out to soak up some of the atmosphere. The Walkabout Inn is just a couple of minutes up the road but if you fancy a wander, the size of the projectors in the Jekyll and Hyde mean that you can stand pretty much anywhere and get a great view. Wherever you plan to be in the UK, we are certain that you will be able to find the perfect venue to watch all the matches. All we need now is for the weather to hold out and for the England squad to show us their best!